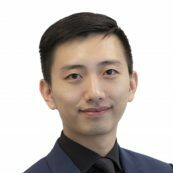 Congming Jiang is a Senior Program Coordinator at PYXERA Global where he assists in managing and implementing Global Pro Bono projects. Prior to joining PYXERA Global, Congming interned for the International Labour Organization in Geneva, specifically contributed to researching forced labor and collective bargaining related topics for the department. He received his Master’s degree in Public Policy from Duke University and BBA in Accounting from the Ohio State University. Congming is also fluent in Mandarin and Cantonese.